Material Other The Centreline trailer is specifically designed for the aluminium boat user with its specifically designed self-centering poly vee slides, poly rollers and Galvanised steel and poly skids. 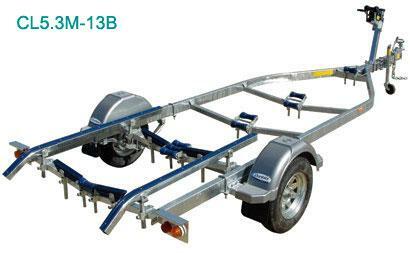 Designed to slide your boat off with ease, the Centreline trailer then self-centres your boat in normal conditions every time you drive or winch your boat back onto the trailer. Please contact us to review the correct trailer for your boat.